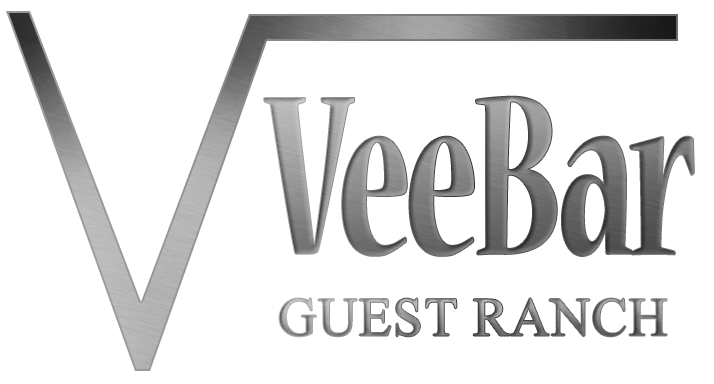 The Vee Bar located near Laramie, Wyoming just 2 1/2 hours north of Denver, Colorado is a world-reknown family guest ranch with a relaxed atmosphere sure to feel like home to your entire family. 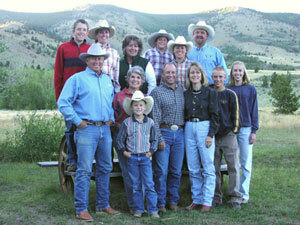 Family Guest Ranch activities range from horseback riding to evenings gathered around a campfire. Resting in the shadows of the Snowy Range Mountains in the Centennial Valley, the Vee Bar Guest Ranch is located 21 miles west of Laramie, Wyoming. Click for area map and driving directions from Denver International Airport. Listed on the National Register of Historic Places, this 100 year-old landmark has served as a cattle ranch, a stagecoach stop, a boy’s school, and a buffalo ranch, as well as a year-round guest ranch. With careful restoration and creative decor, its western heritage has been preserved. The cabins and lodge offer antique furnishings from the Vee Bar’s rich and colorful past. Never to be forgotten, the Vee Bar’s menu of home-cooked food is part of a great stay at the ranch. Dining is buffet style in the informal western tradition. Guests enjoy a varied menu of meats, fresh fruits and vegetables, homemade breads, and desserts. The ranch chef will be happy to accommodate special diets with prior notice.